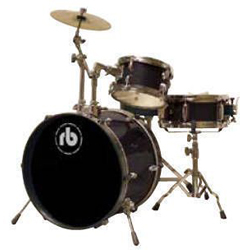 Since 2000, Marplatense has been devoted to manufacturing drum kits and pedals under the name of RB Drums. SAVE ON SHIPPING! 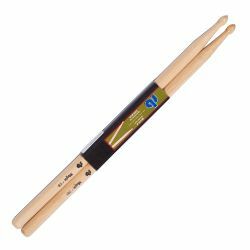 RB Drums RB-5B Maple Drum Sticks with Wooden Tip For use with a variety of percussion instruments. The RB Drums RB-5B is a set of Maple Drum Sticks with Wooden Tip. Features: Heavy Rock Style Made of Maple Wooden Tip Works best in a Rock Music environment. SAVE ON SHIPPING! 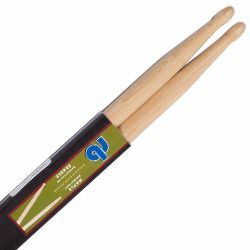 RB Drums RB-5A Maple Drum Sticks with Wooden Tip A solid set of sticks you can count on. The RB Drums RB-5A is a set of Maple Drum Sticks with Wooden Tip. Use with drums or other types of percussion. AMAZING DEAL! 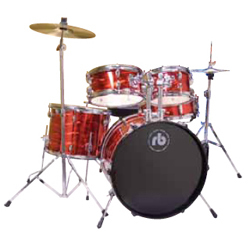 RB drums RBJR5-MWR 5 piece Junior Drum Set in Metallic Wine Red 5 piece Junior Drum set. 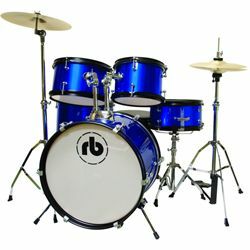 This kit is ideal for the young drummer, between the ages of 5 and 10. Featuring: 16” Bass Drum 12” Snare Drum 8” + 10” Tom Toms 13” Floor Tom Junior Drum Throne Drumsticks 12” Crash Cymbal 8” Hi-Hat Cymbals.